We wanted to debunk the perception that a re-manufactured valve is any less of a quality product than a new valve. Often times, when we receive customer property to re-manufacture, the valve is in such poor condition that the only component that isn’t “new” is the Valve Body itself. 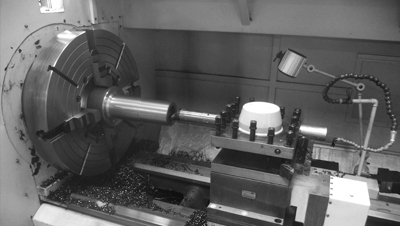 Even with re-using the valve body, there is a considerable amount of machining and welding done to it, that the valve tests and operates like new. A value-add to our valve re-manufacturing service offering is our ability to trim the valve to our customer’s exact specifications. Whether you need Stellite 6, Stellite 21 (our Geothermal Trim package) or Inconel for the higher corrosive resources found in the Salton Sea and The Geysers, or rising stem and D-Model Bonnet conversion, TNG can take your corroded, leaking, broken valves and repair them to your specifications, in less time and for less money than buying new replacements. The time-lapse video below illustrates TNG receiving a valve from a customer, breaking it down, conducting a thorough inspection, machining new valve components, re-assembling the valve, pressure testing the valve and ultimately delivering the repaired valve along with additional wellhead equipment to re-install on their well.